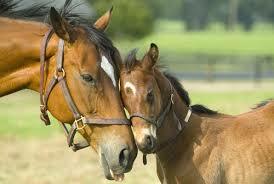 cute horse and mtoto, foal. for the people who upendo farasi and horseback riding, (my first upload). Wallpaper and background images in the farasi club tagged: photo. This farasi photo contains chestnut, dressage, racehorse, mbio za farasi, and bangtail.